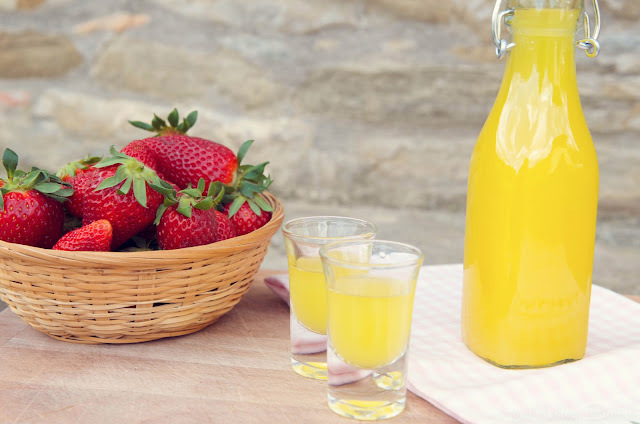 Perfect for a hot summer night after you dinner al'fresco - a shot of frozen homemade limoncello - sweet & tart, instantly refreshing. You can always cheat and buy a fancy bottle of limoncello or limoncino but if you have a little patience you will be great rewarded! 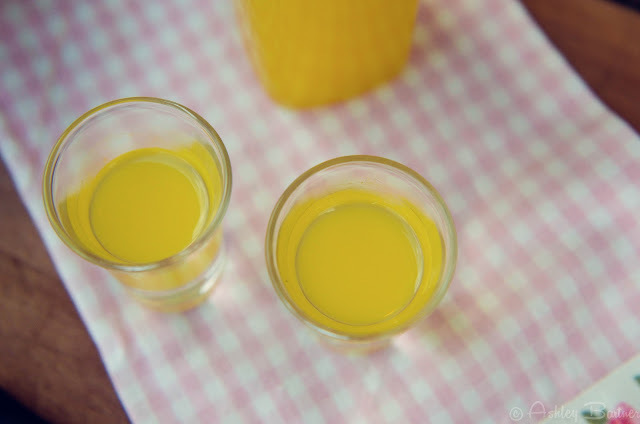 Here's the no-fail, hands-down best, straight from the Amalfi Coast - Limoncello Recipe! Make a simple syrup with the sugar & water (warming the water on the stove & incorporating all the sugar). Wait for the sugar water to cool. Combine the simple syrup with the alcohol & mix. Bottle & place in the freezer. I bought the booze to make this today. My question is about the lemons. Should I use more US sized lemons that the recipe calls for? The lemons in Italy are huge! Isn't pure alcohol stronger than vodka? So, if you use vodka, you would use less of the simple syrup?